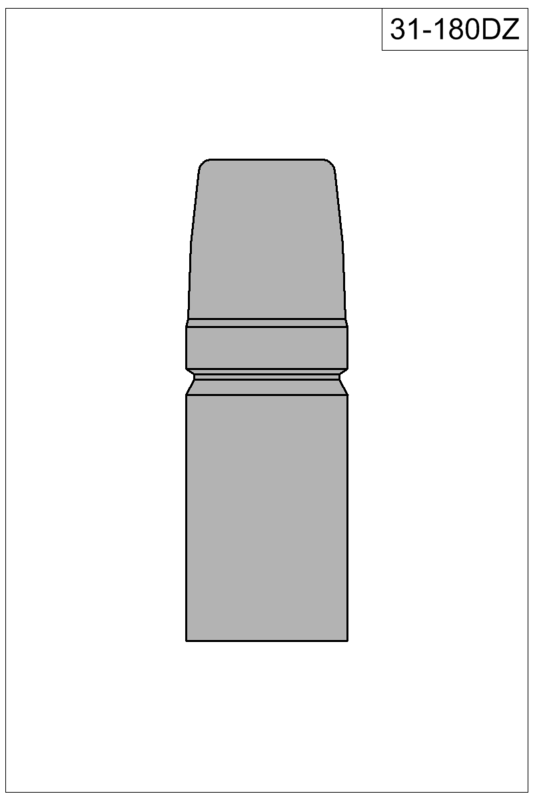 Click on any design to view more details. 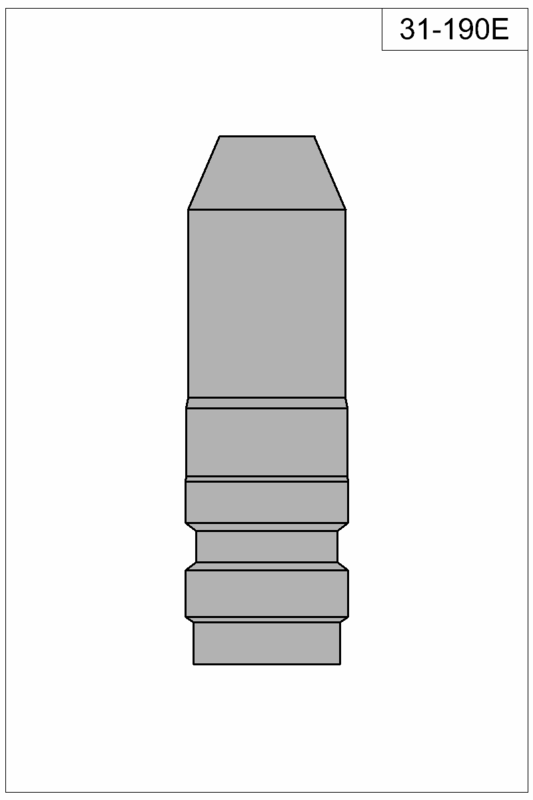 This expanding catalog contains designs that are already on file. 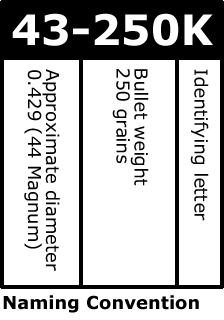 As new designs are ordered, they are numbered and added here. You may choose from these designs, use one of these as a basis and specify modifications, or submit a completely custom drawing either electronically or by regular mail. 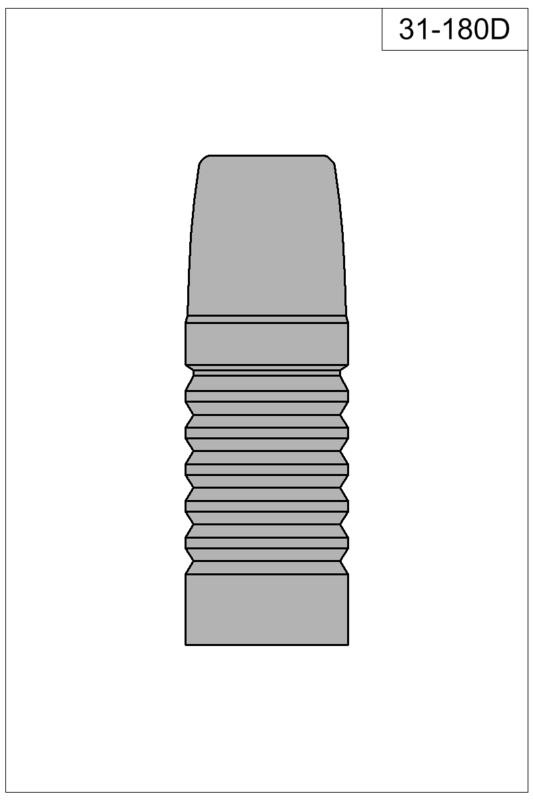 These molds are designed to fit RCBS and six cavity Lee handles. 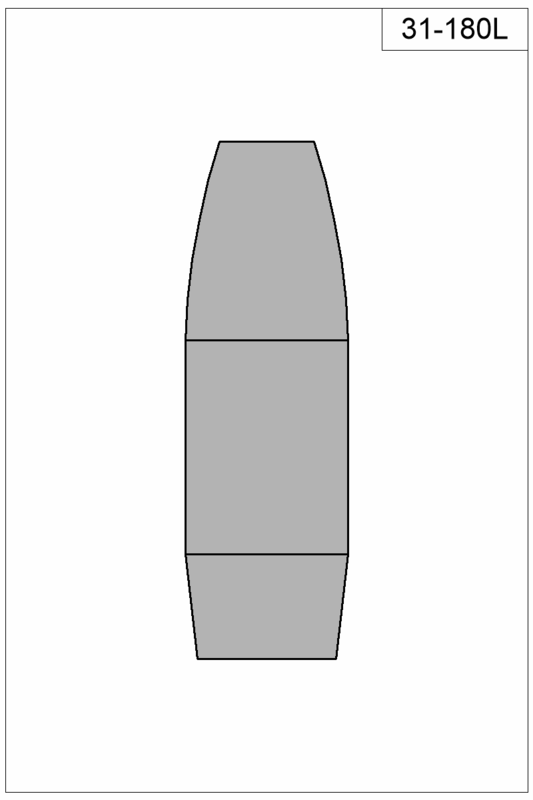 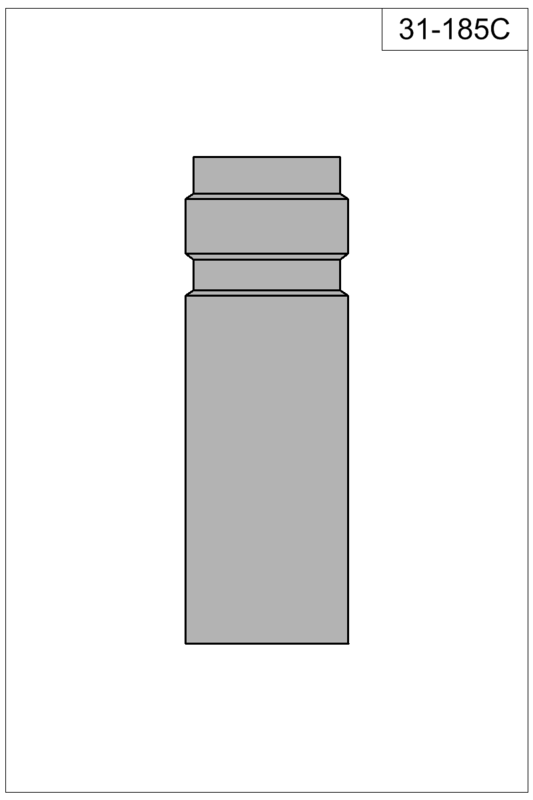 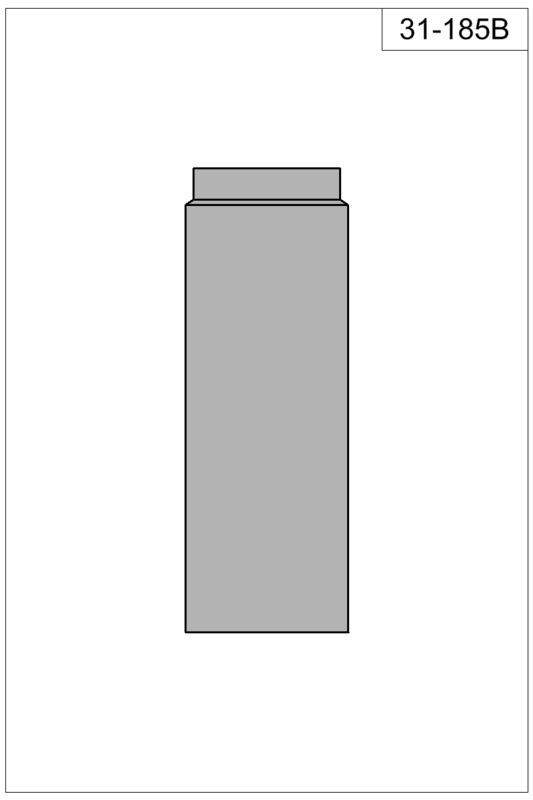 Ordered body diameter tolerance is (+0.002/-0.000). 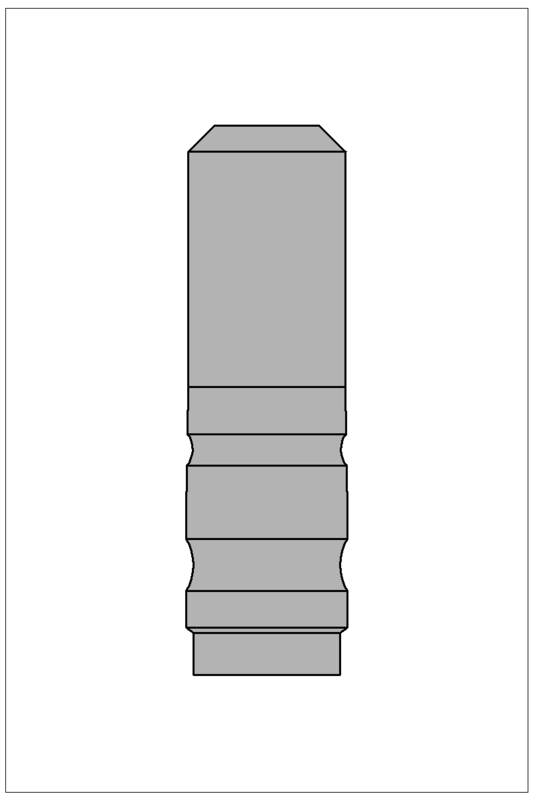 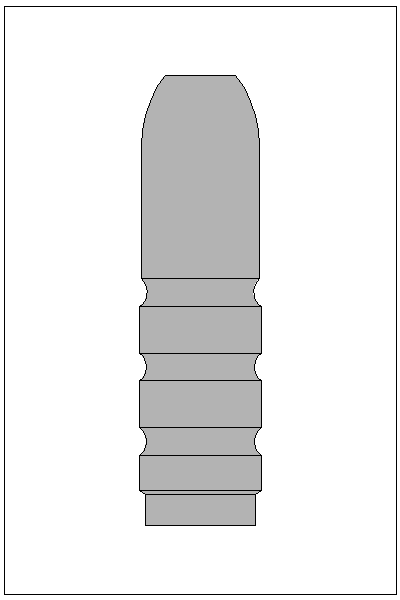 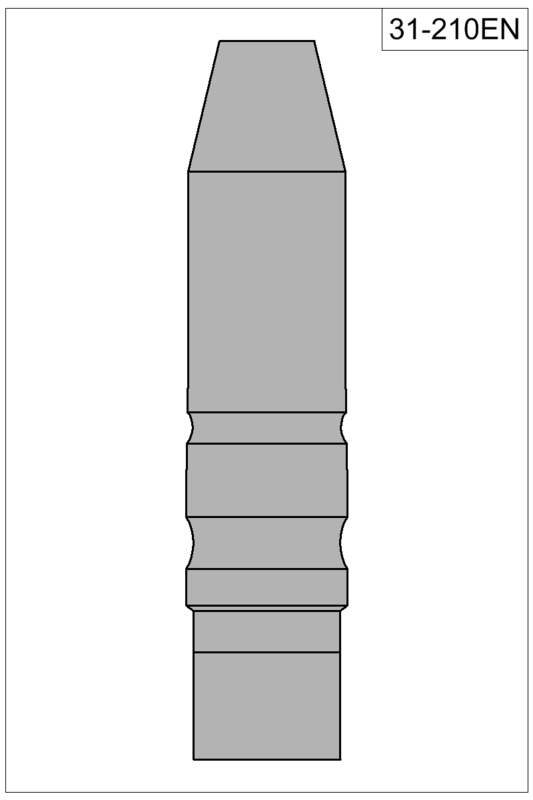 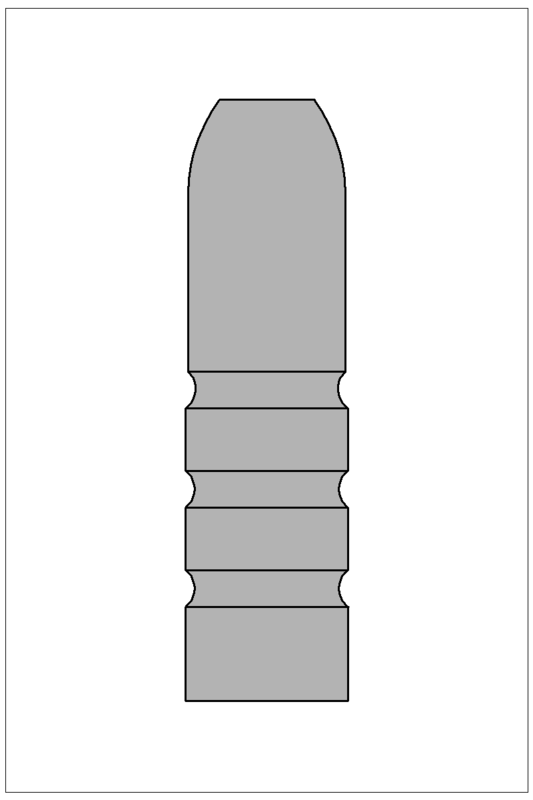 Mass produced bullet molds are designed with very conservative, minimal dimensions north of the crimp groove, so that they will chamber in the great variety of firearms out there. Best accuracy is usually accomplished with a much closer fit, tailored to a particular firearm. 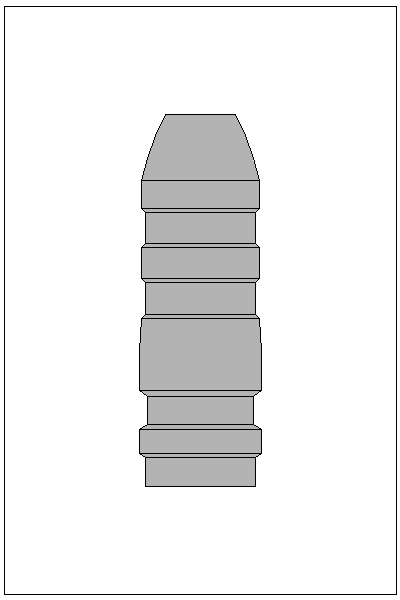 This catalog is a record of molds I've made, and posted for reference. Be aware that due to their custom nature, many of these bullets are designed for a specific purpose or firearm, and won't necessarily fit or feed as drawn in all guns of that caliber. 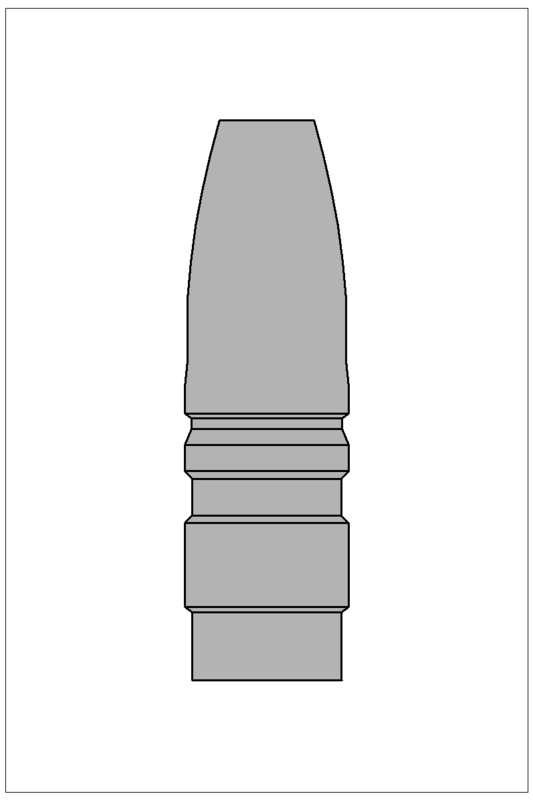 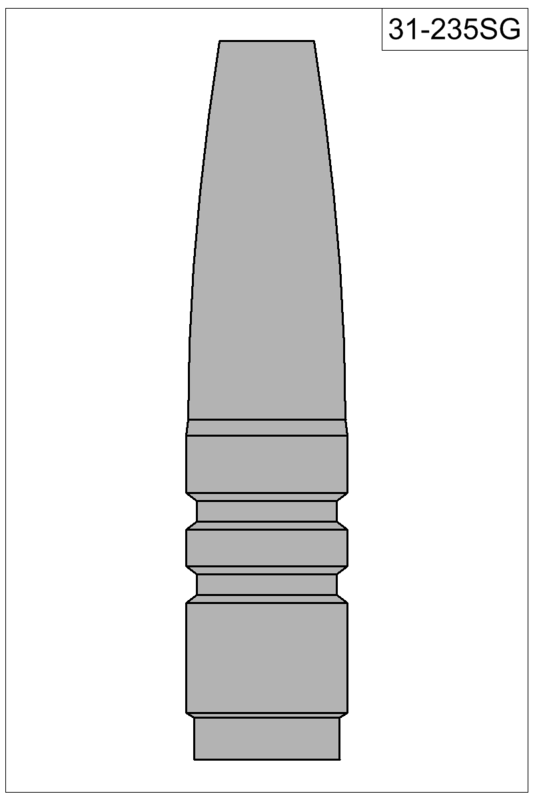 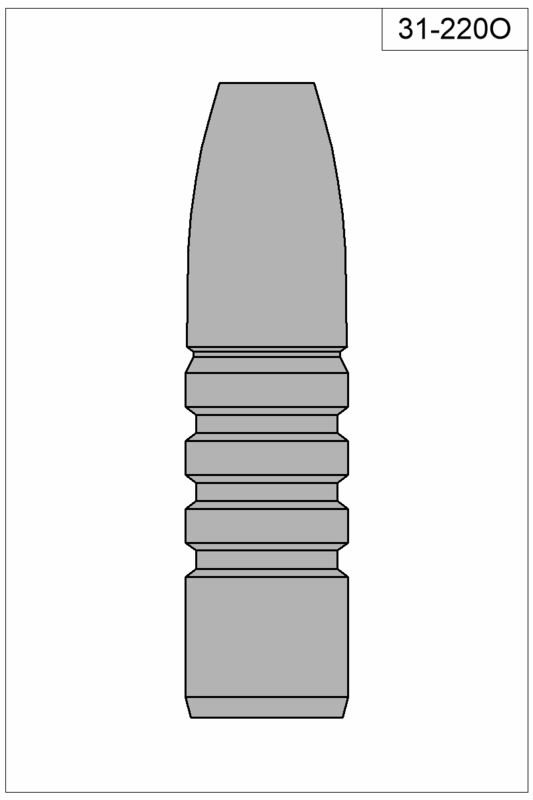 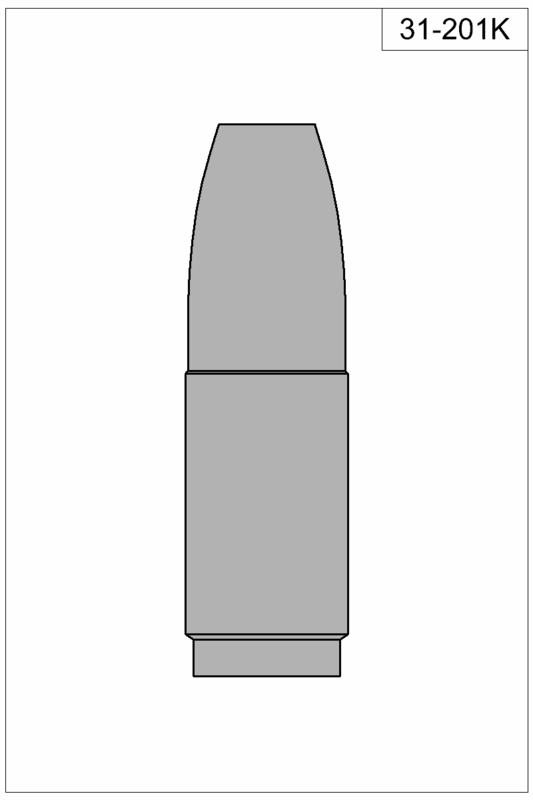 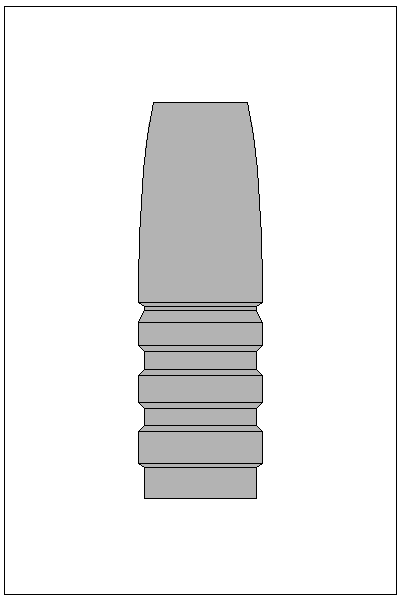 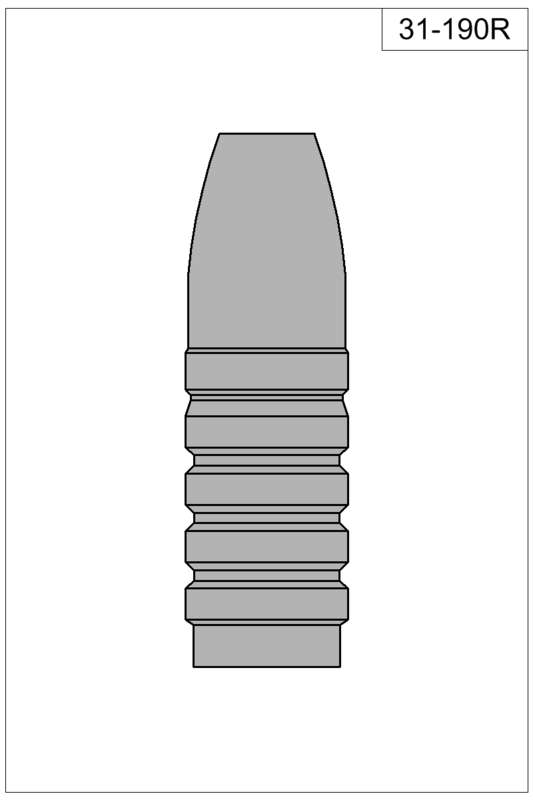 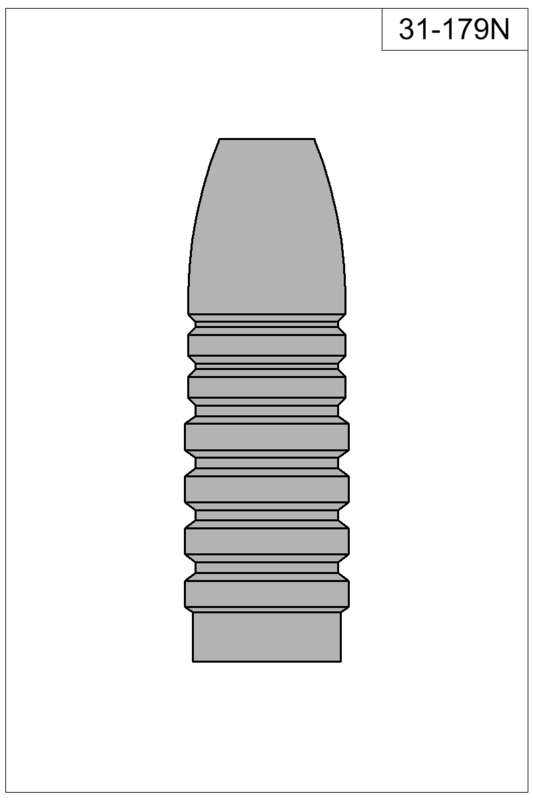 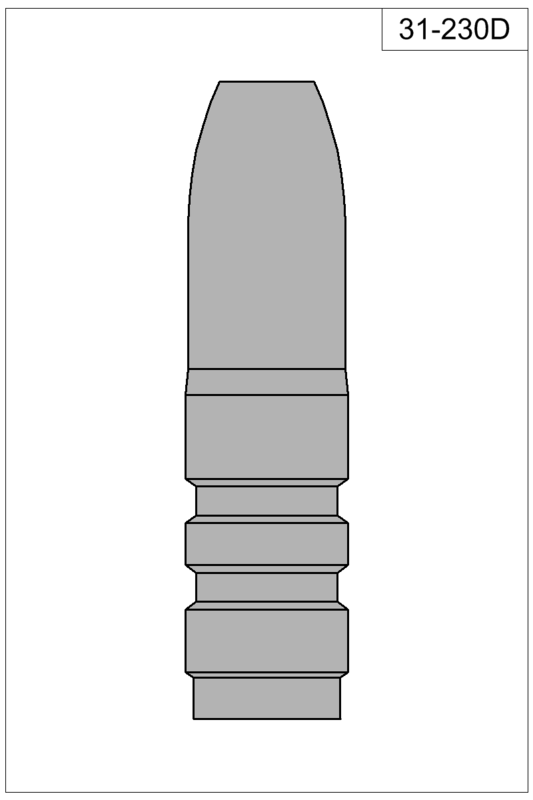 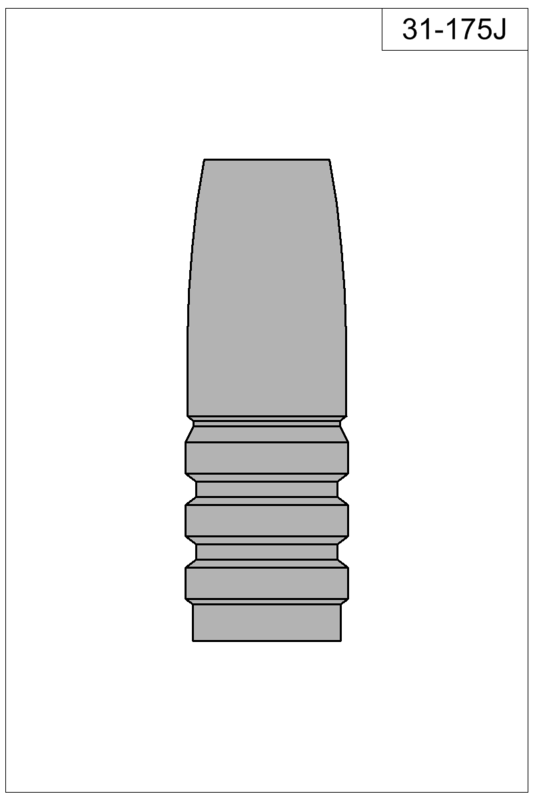 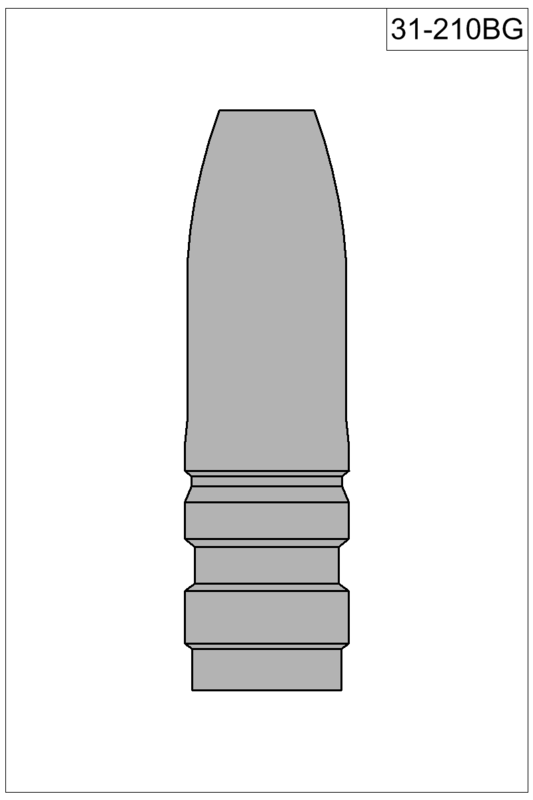 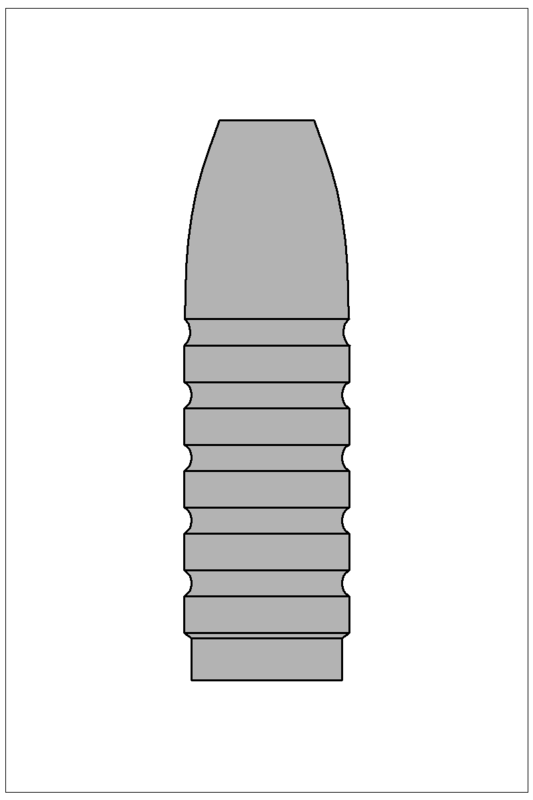 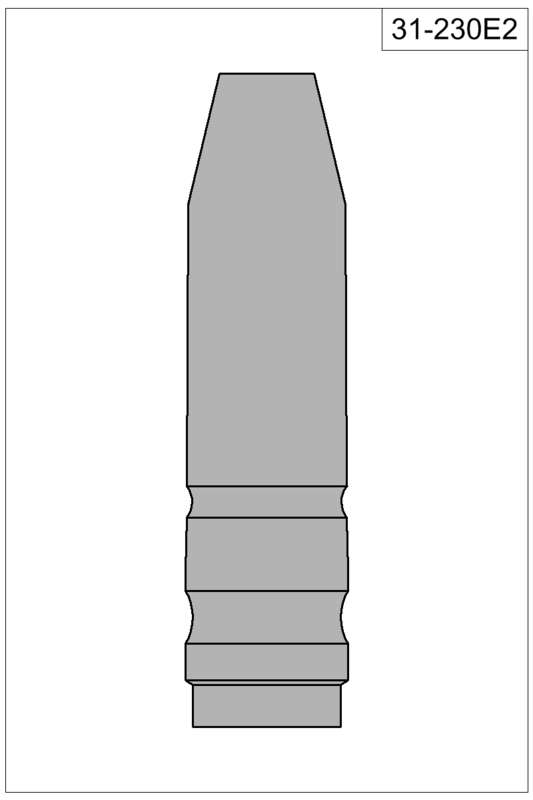 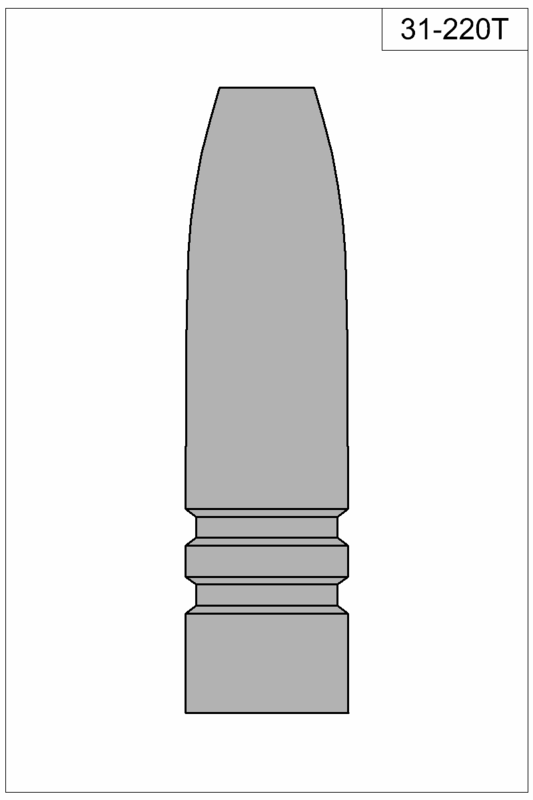 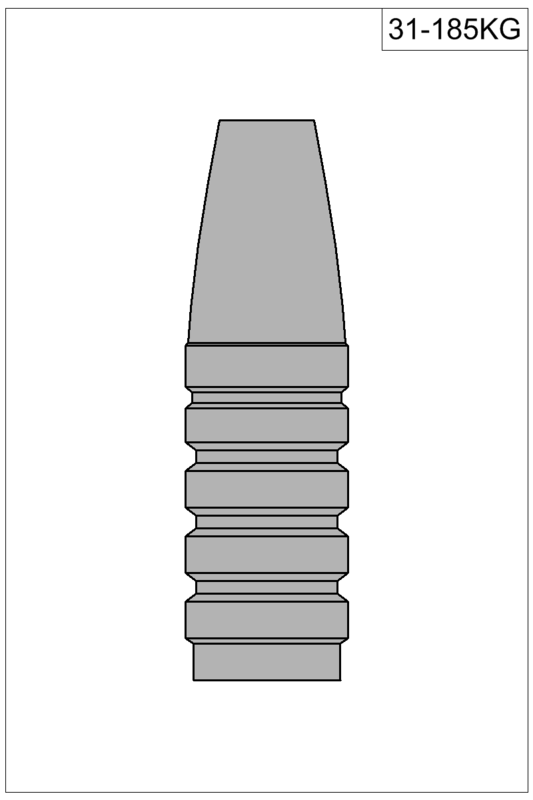 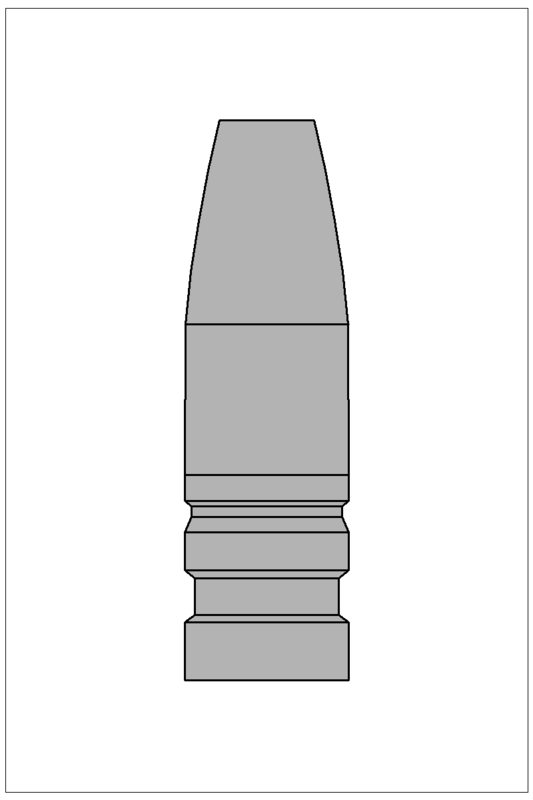 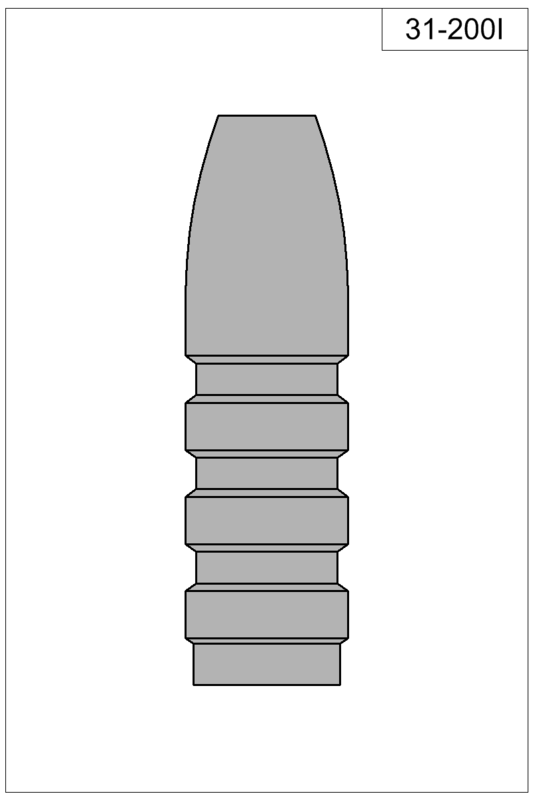 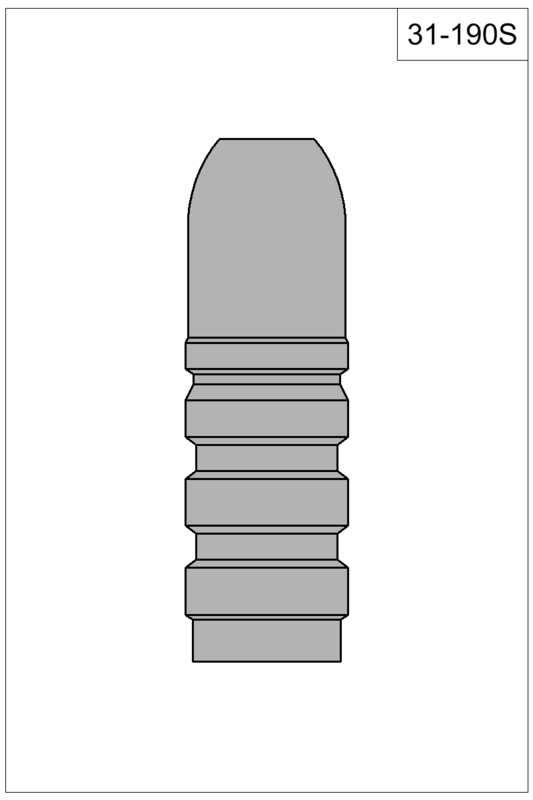 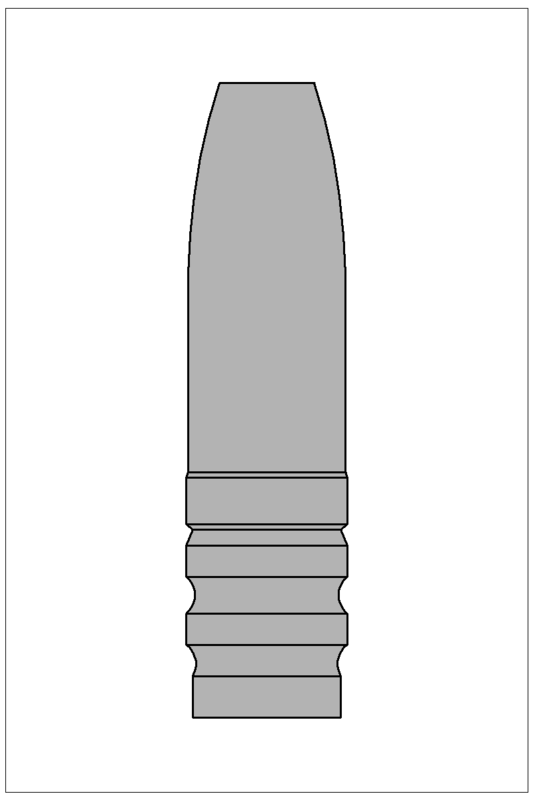 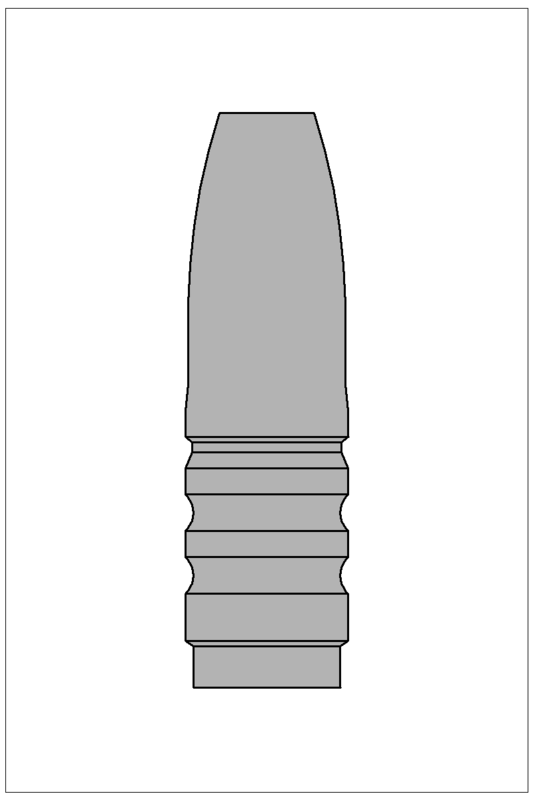 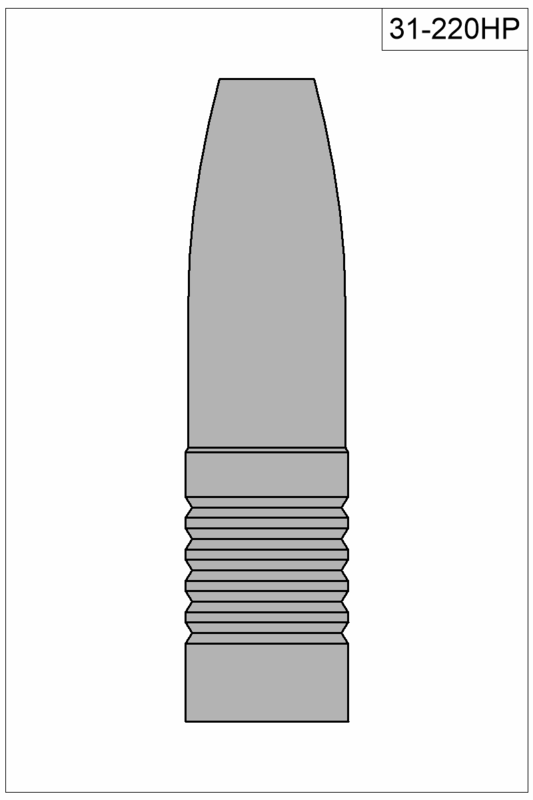 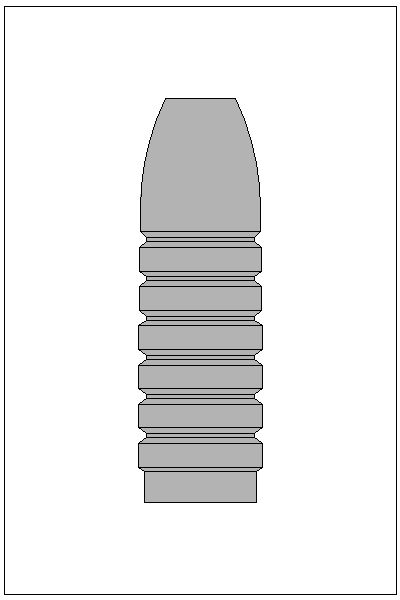 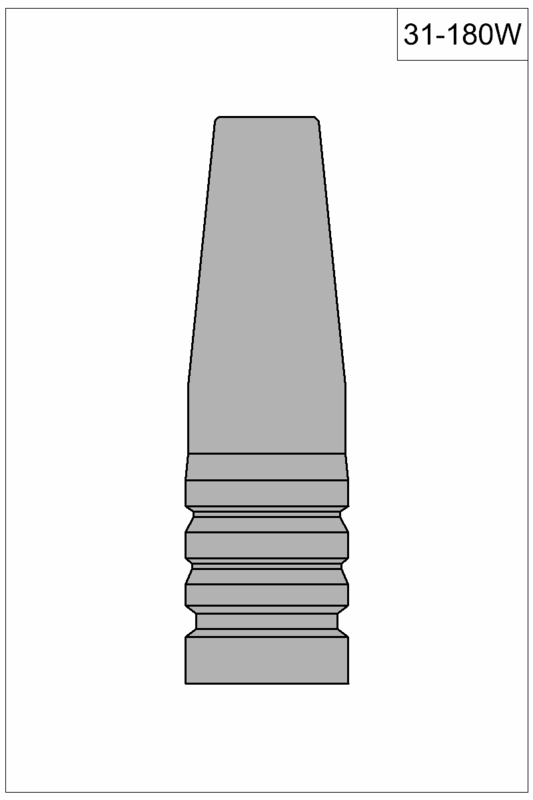 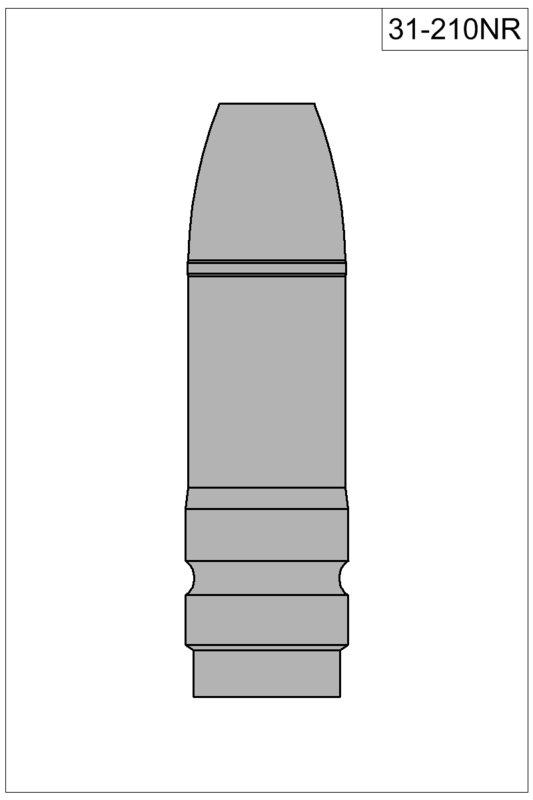 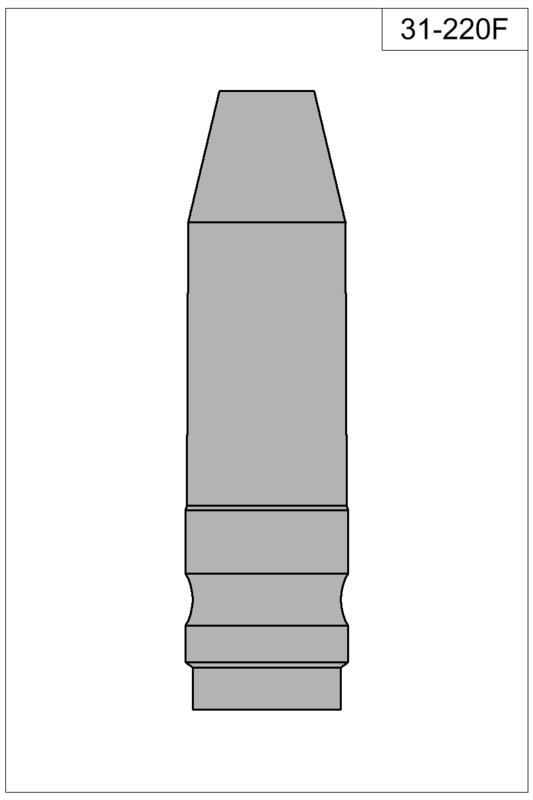 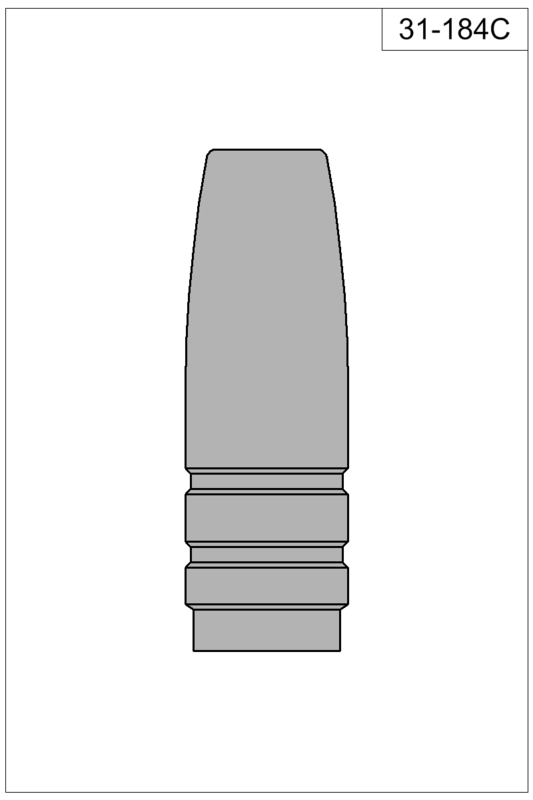 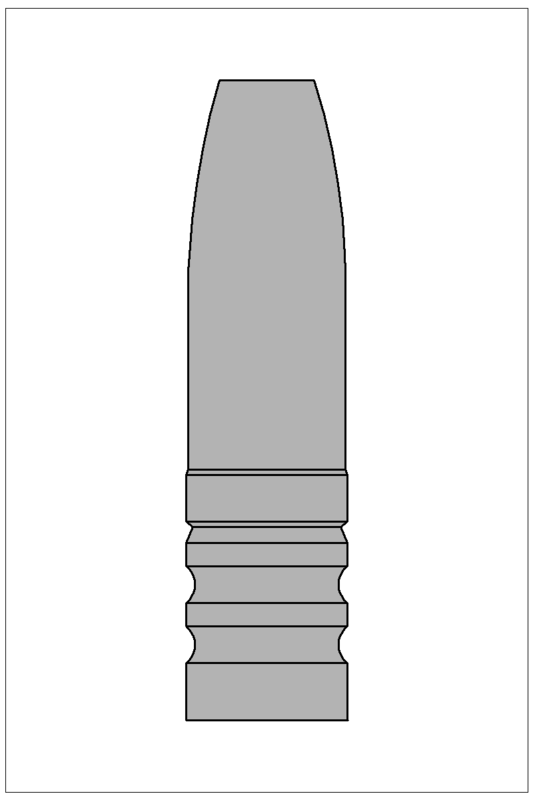 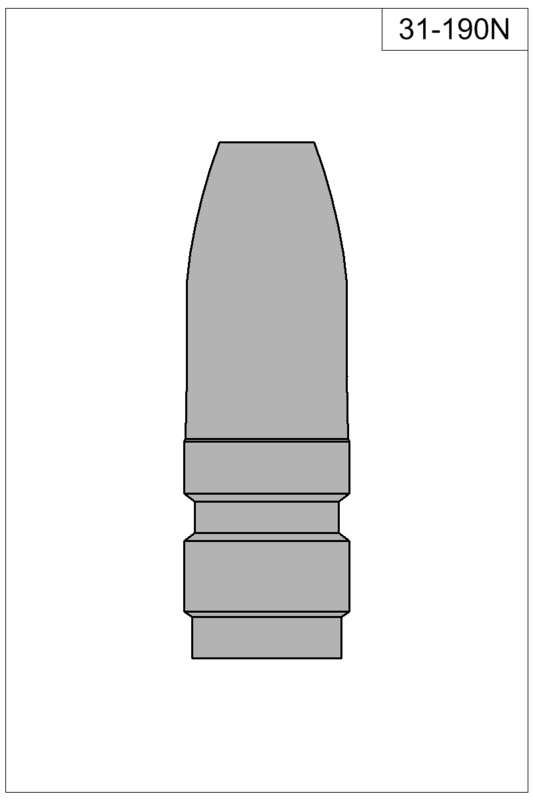 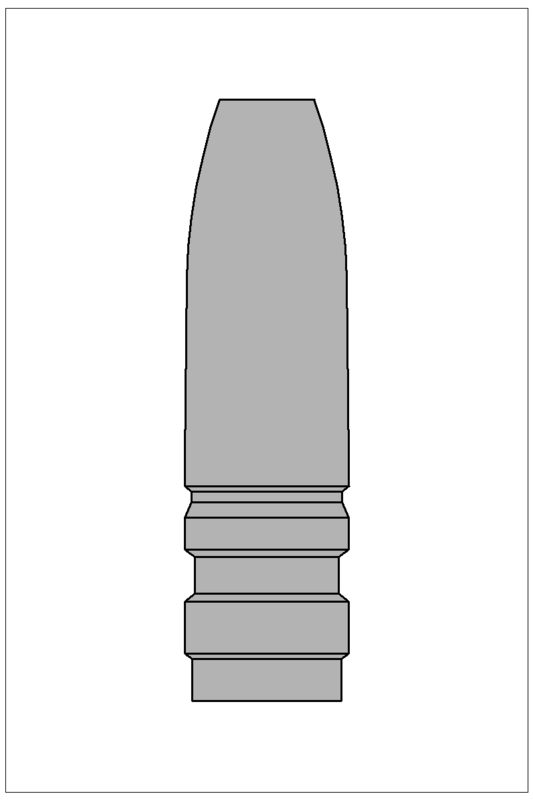 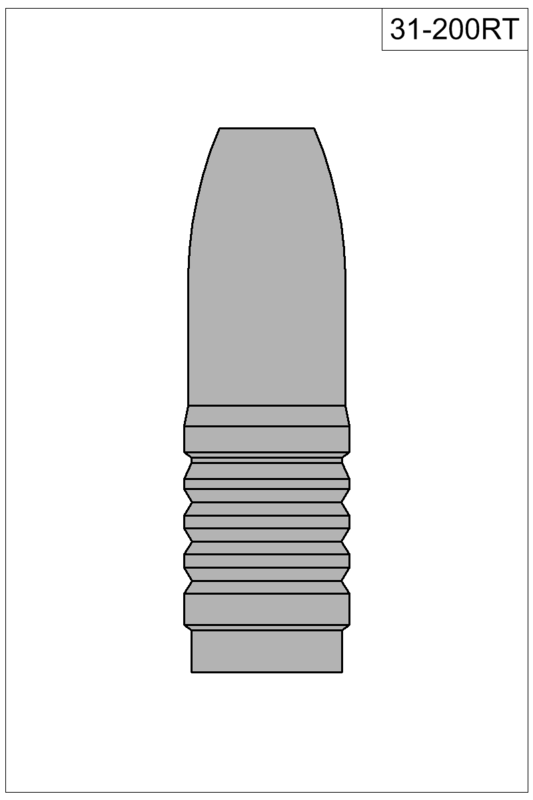 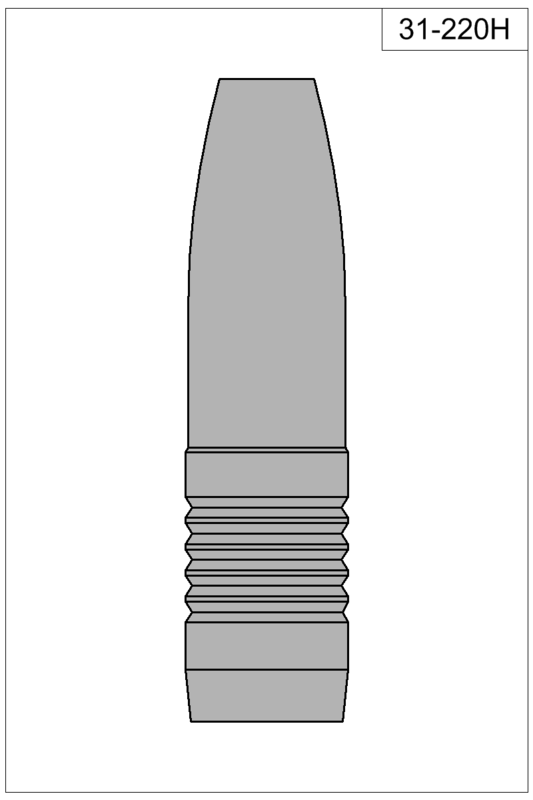 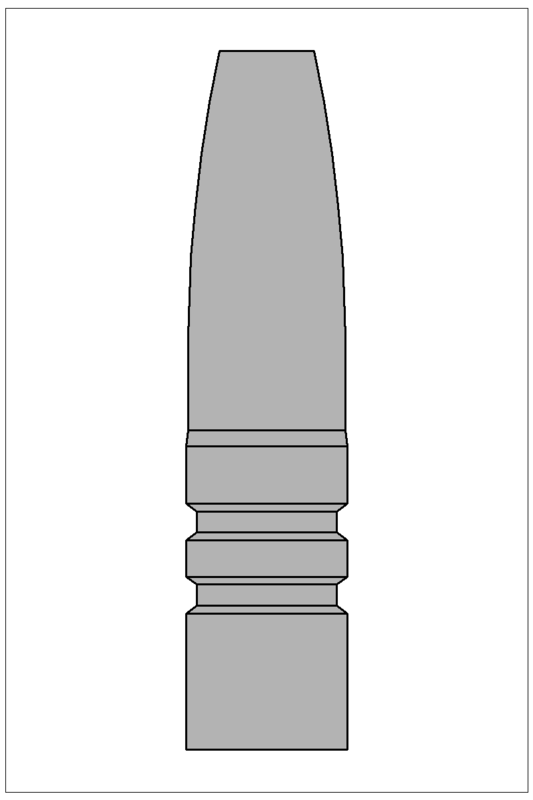 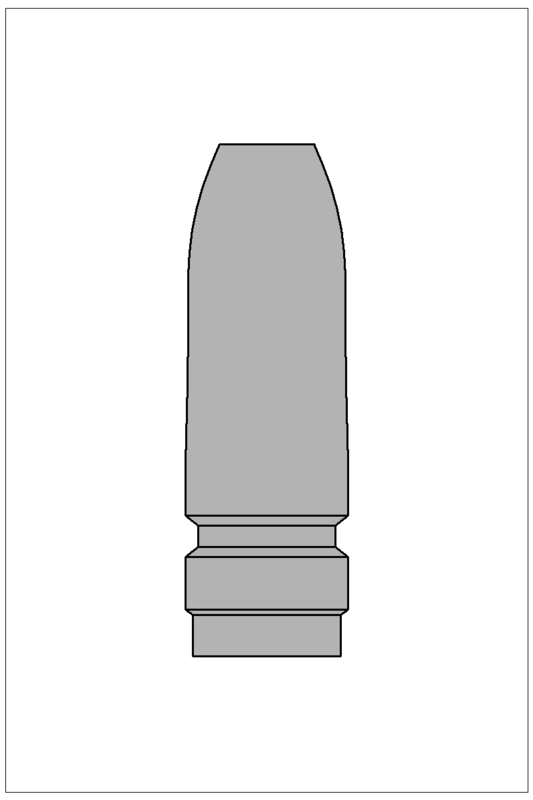 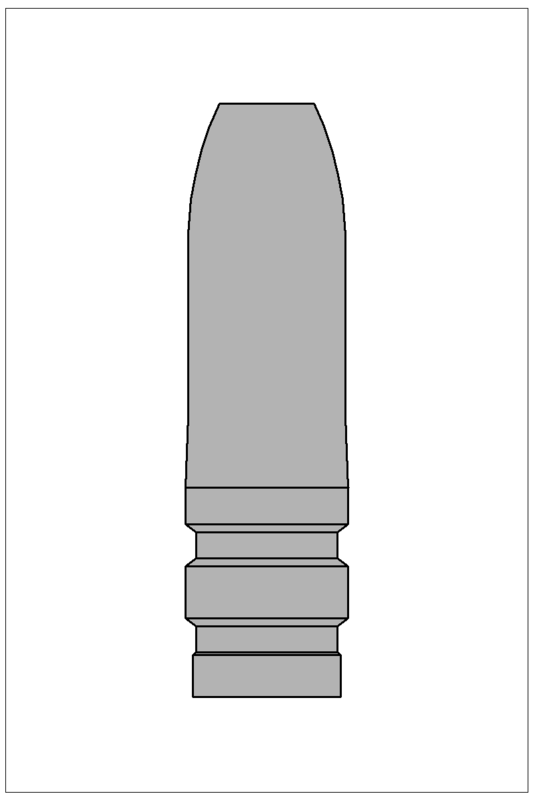 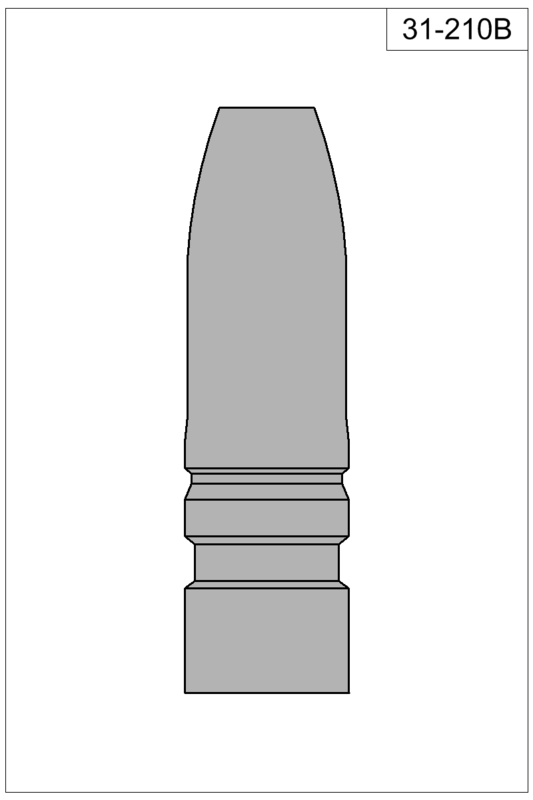 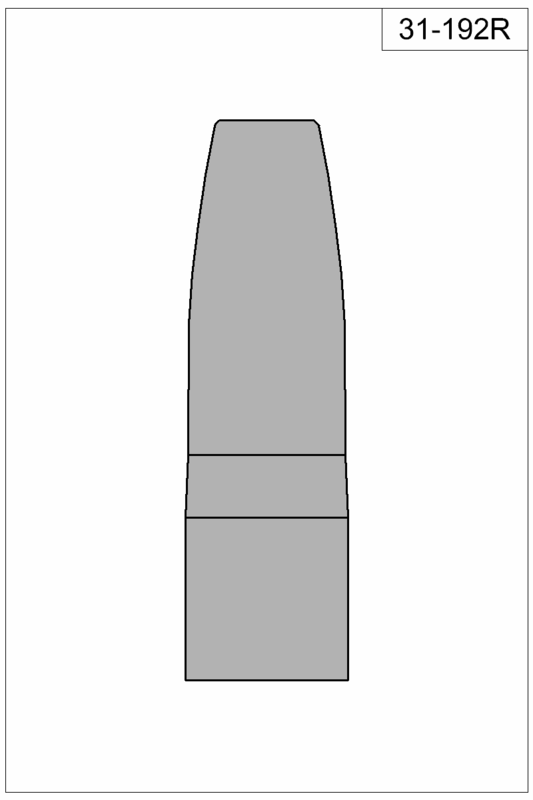 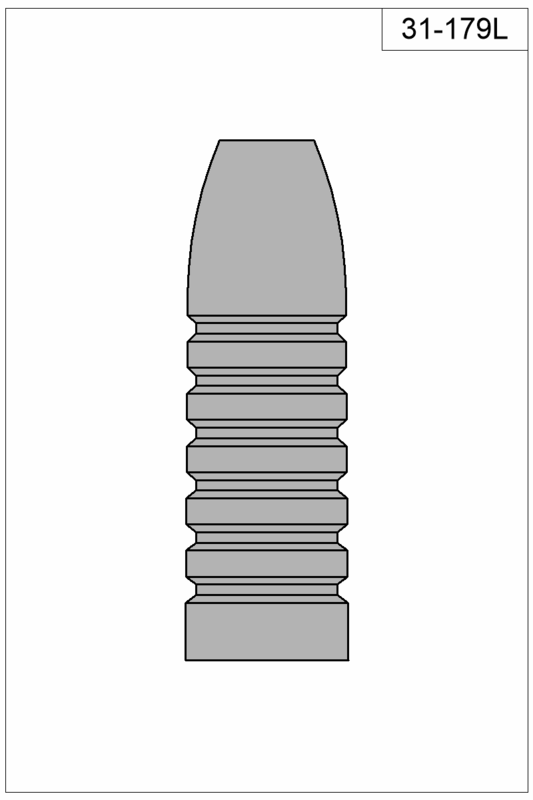 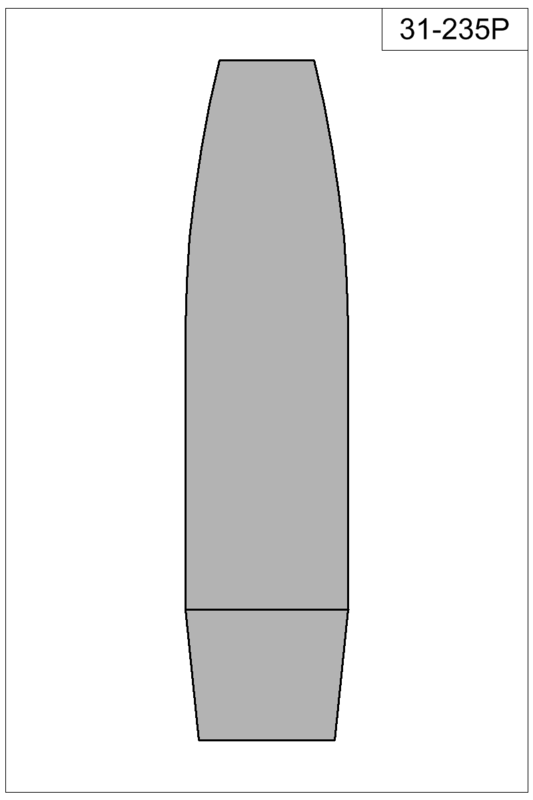 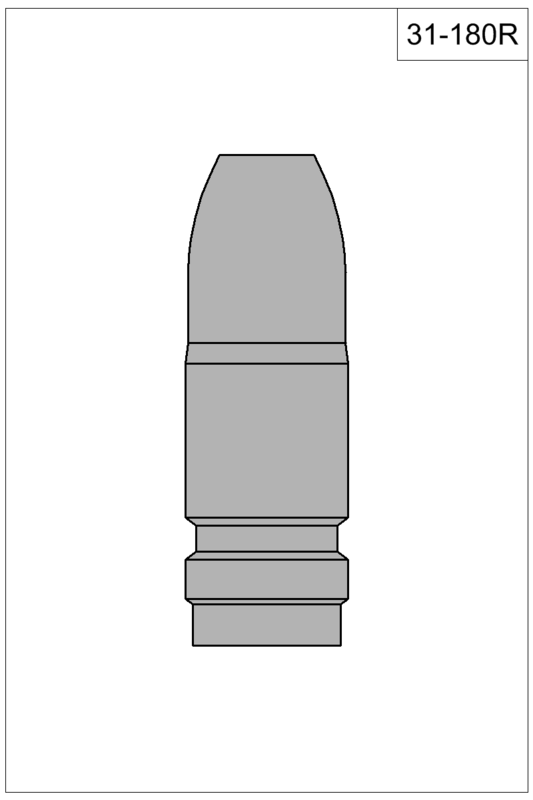 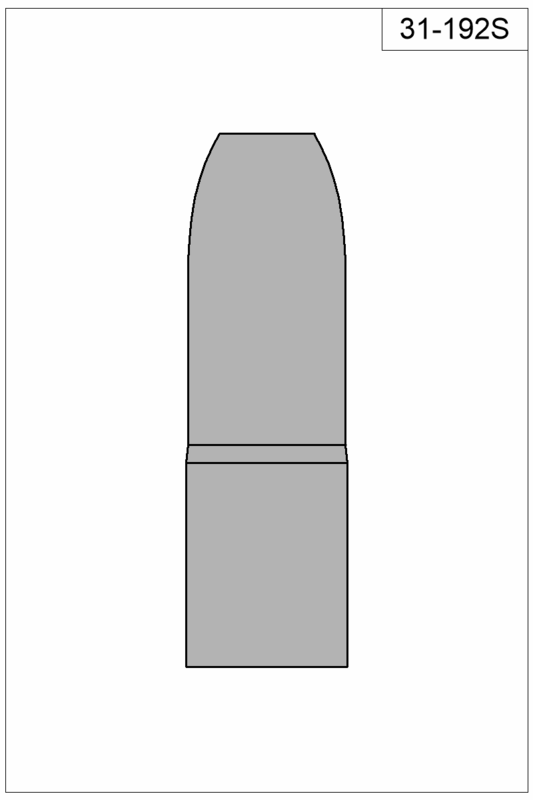 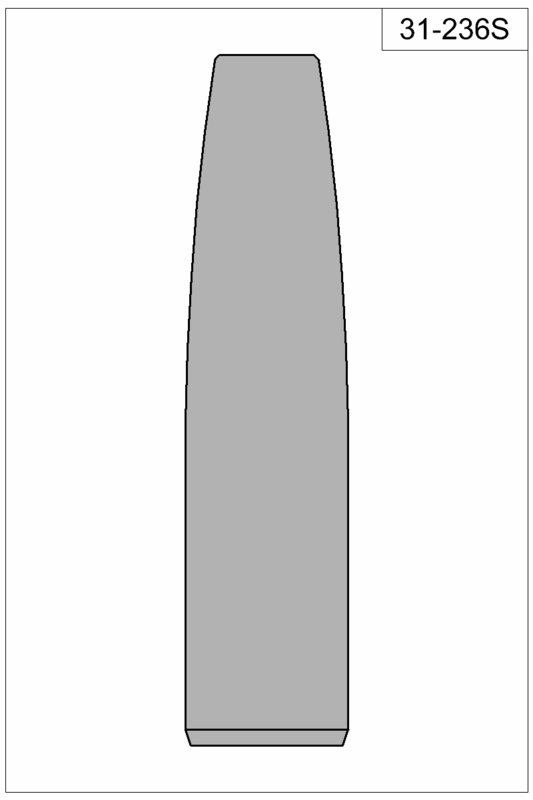 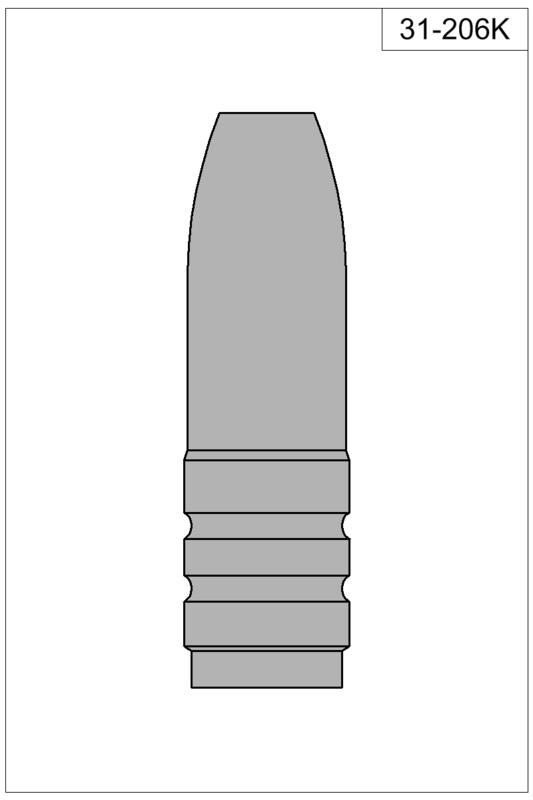 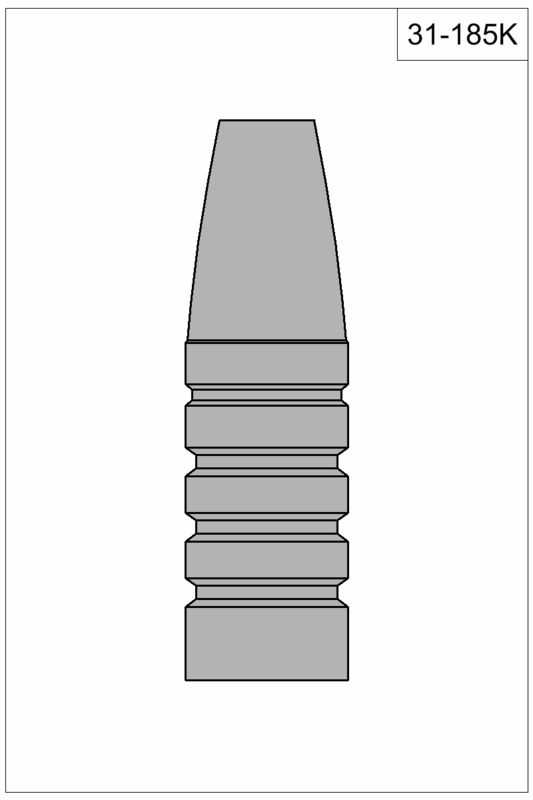 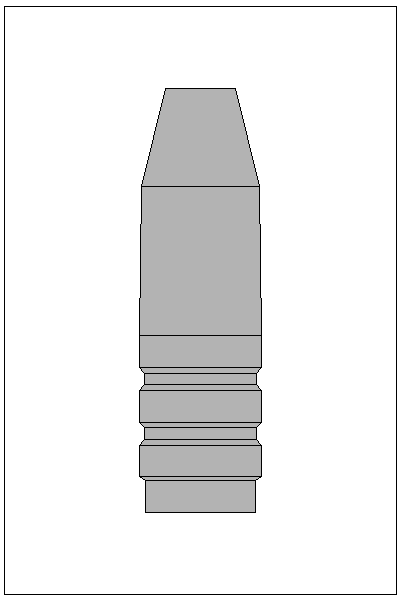 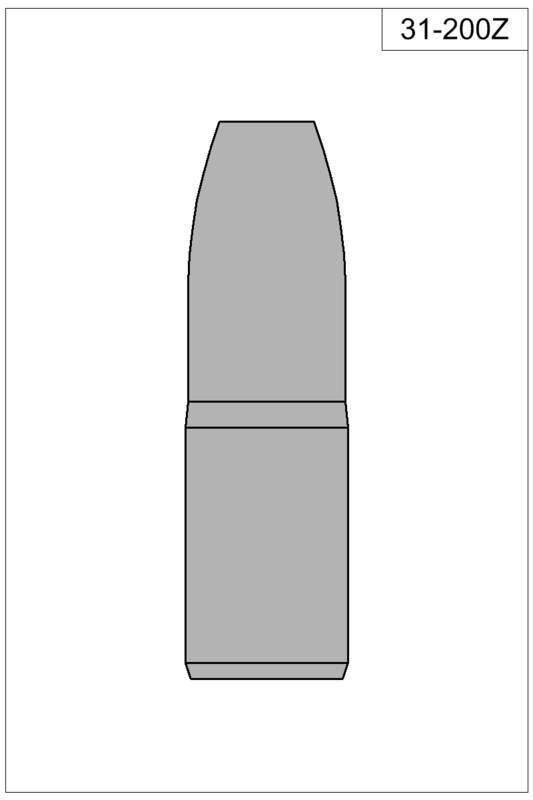 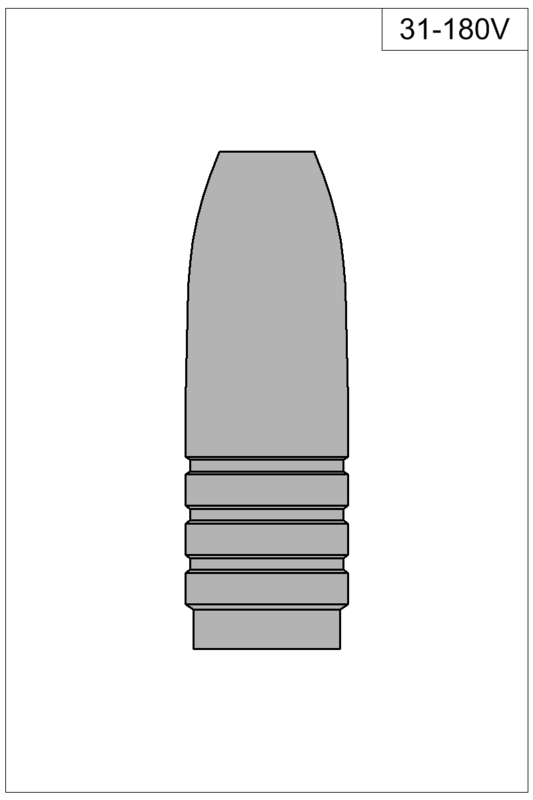 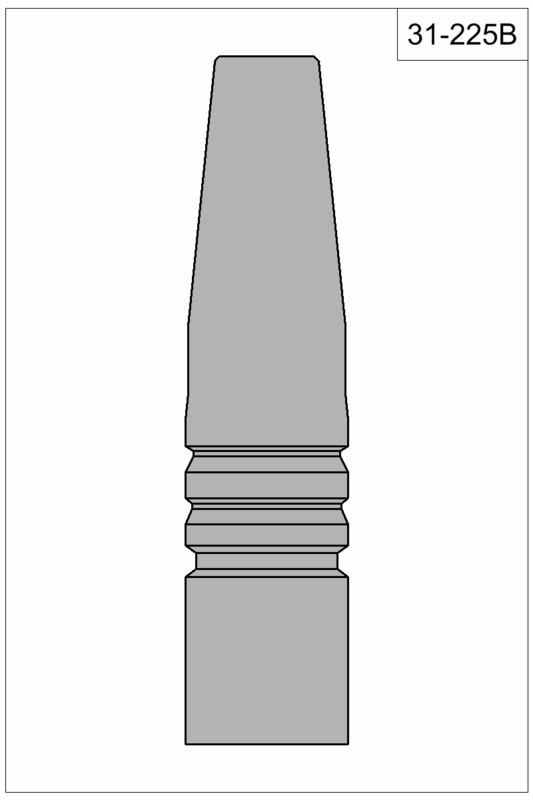 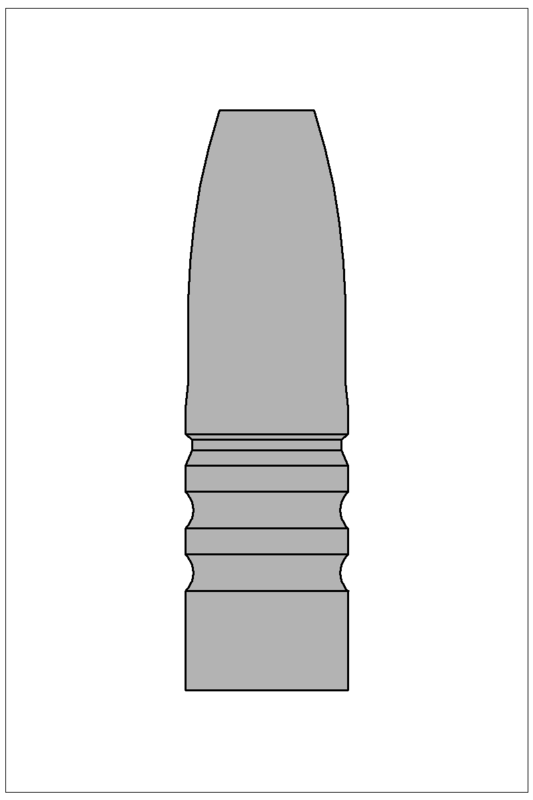 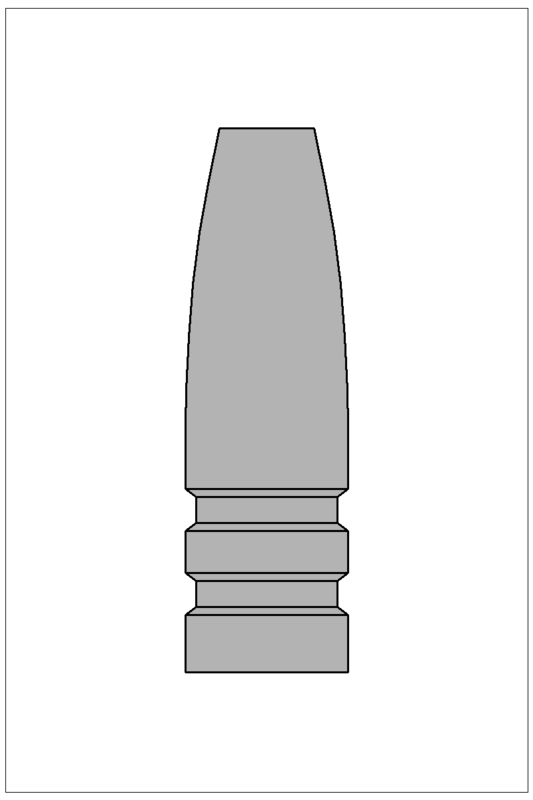 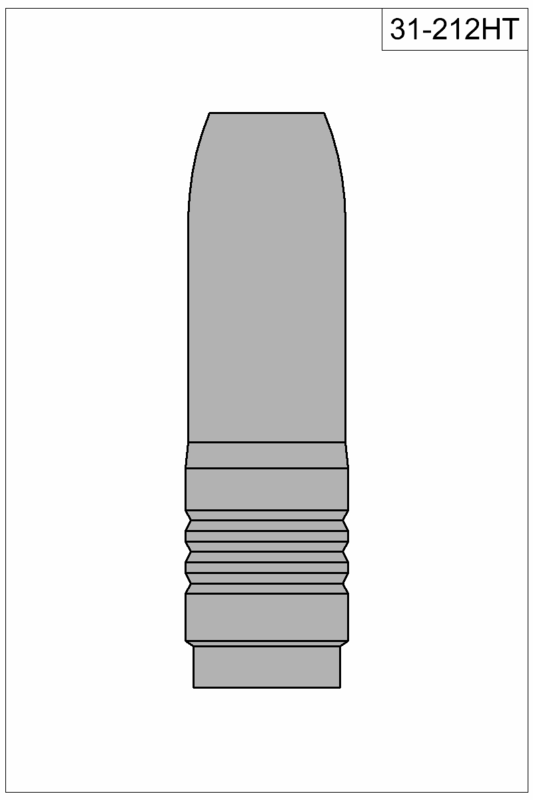 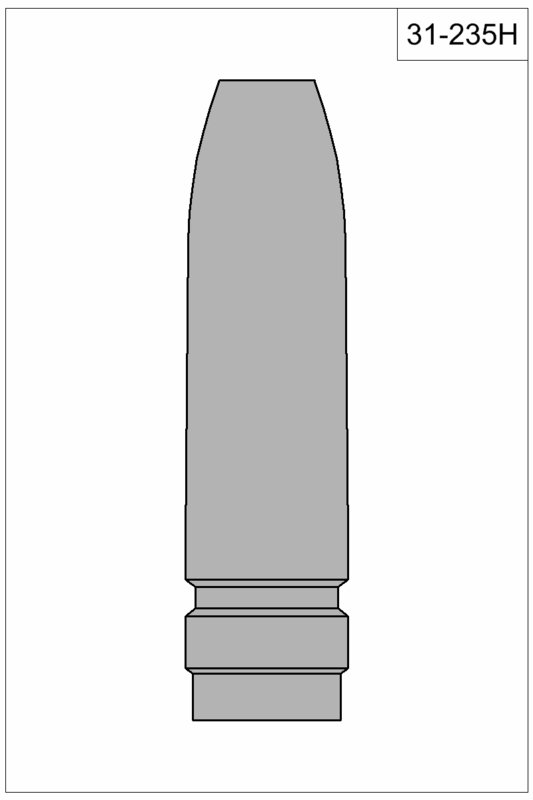 SAAMI spec 300 AAC nose. 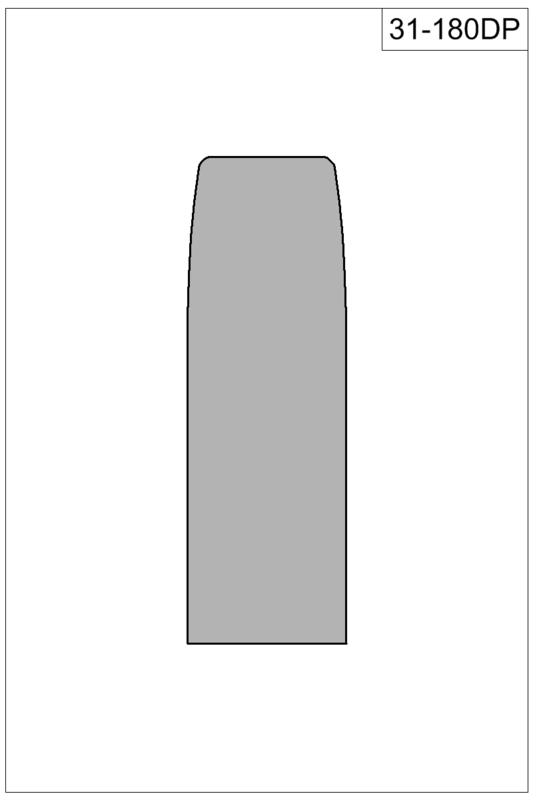 Basis for hollow base nose pour. 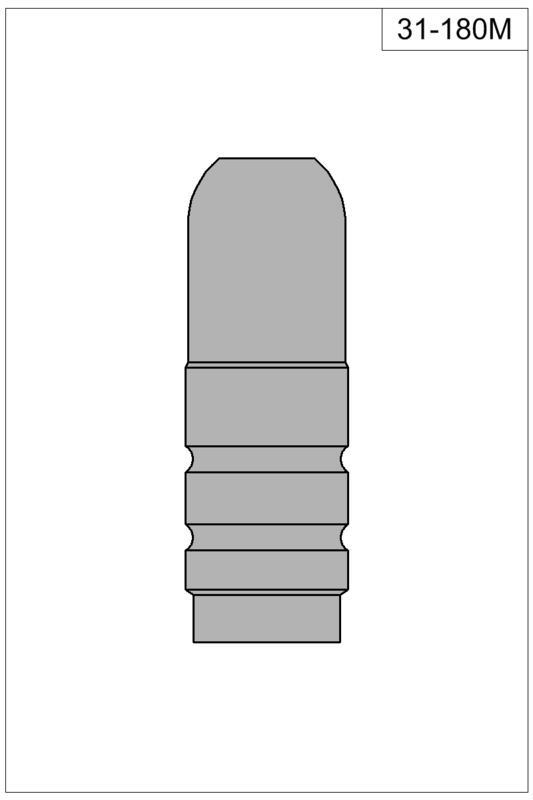 Pin must be outsourced.